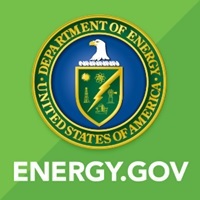 WASHINGTON, D.C. – (RealEstateRama) — The U.S. Department of Energy(DOE) announced up to $20 million in funding for nine projects to advance early-stage solar power electronics technologies. These innovations are critical to address solar photovoltaic (PV) reliability challenges, as well as to drive down the cost of installing and maintaining a PV solar system. These innovations will help achieve DOE’s goal to cut the cost of electricity for a solar system in half by 2030. Each project must meet a 20 percent cost share requirement and will last up to a three-years, enabling teams to significantly improve on innovative concepts throughout the project period. These awards are cooperative agreements – rather than grants – which involve substantial federal oversight and include go or no-go technical milestones that help ensure taxpayer value and return.